Recently I wrote about some of the great new backpack designs John Peters New York has released for the new year. But it’s not just new backpack designs — they’ve also released two new messenger bag models! Messenger bags are sometimes more convenient and lighter than backpacks, great for office workers, students, freelancers, and more! 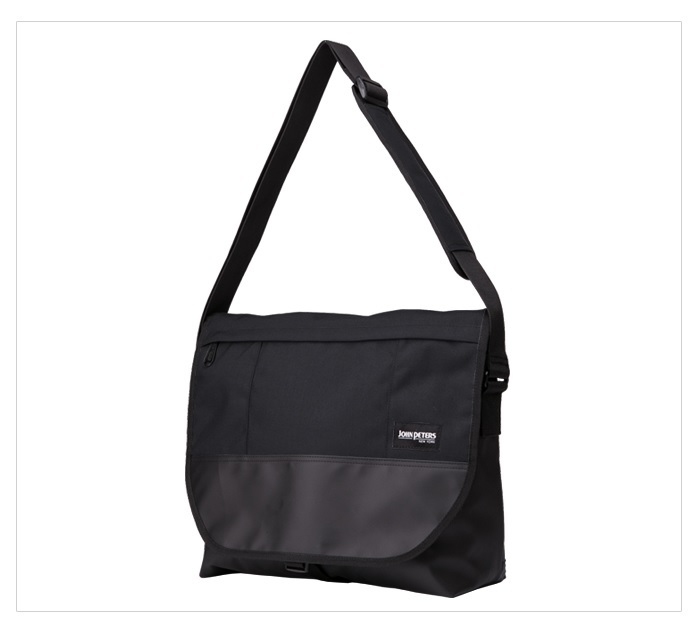 We think office workers and professionals will love the 6015 John Peters New York messenger bag, especially in black and grey. With its sleek design and simple shape, it’s the modern equivalent of a briefcase. The protective covering over the flap ensures the bag and its contents stay safe and dry, and must for these soggy February days. On the other hand, we’re guessing the two-toned 6011 John Peters New York messenger bag is going to be the pride and joy for students and travelers. A little bulkier and more heavy-duty than the 6015, the 6011 has the teeth to survive being hauled around the world — or just to class every day! The reinforced bottom and flap add durability, and the side pockets give just a little more space for busy young people living exciting lives! Both models feature adjustable shoulder straps and the standard high quality stitching, zippers, and buckles as all John Peters New York bags. They come in a variety of colors, such as red, navy, and black. To find out more and check out the rest of John Peters New York’s messenger bag models, head to the website! Share the post "John Peters New York: New Messenger Bags!" Posted in Fashion Review and tagged John Peters New York, john peters new york messenger bags, messenger bags, messenger bags for professionals, messenger bags for students, professional messenger bags, student messenger bags. Bookmark the permalink.